With further deregulation of higher education on the horizon, some students are crying out against ‘corporate universities’. Alice He examines whether such concerns are justified. I don’t usually watch Q&A, but when I do it’s when Christopher Pyne gets such a grilling that happy Twitter users suspect the cleaners will have a long night removing the sweat stains off his seat. He was given some respite, however, when university students in the audience cut off the panel to express their views via repetitive syncopation: “No cuts, no fees, no corporate universities!” Instead of the debate I had tuned in to see, I got awkward television and a pre-recorded performance by Katie Noonan. This is not the first time my anticipation of enjoyment has been spoilt by people lobbying – rather ironically – on my behalf. Earlier this year I had hoped to enjoy a lunch date with a friend on South Lawn, but was unfortunately driven away when loud speakers started shrieking that Tony Abbott was going to make us pay more. I can’t say I approve of these methods, though their message is undoubtedly important. 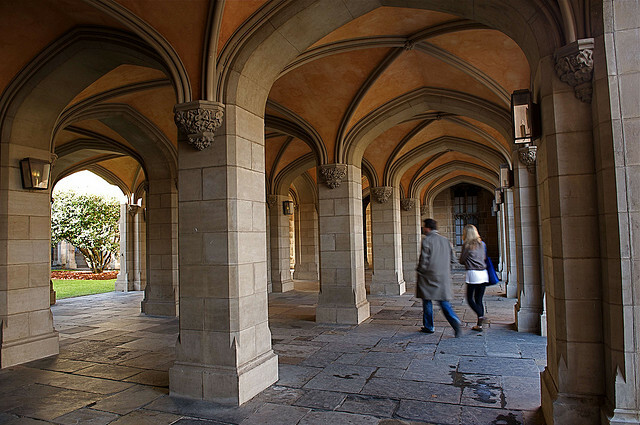 Yes, the Coalition wants to further deregulate universities, and yes, conversation is important, but the debate is most concerning because some of its own concerns are misguided. 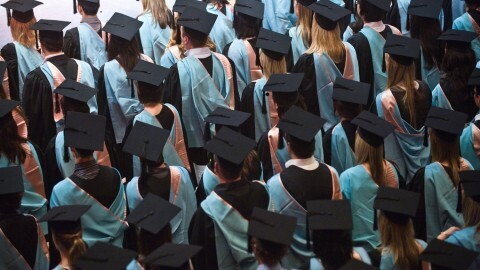 The demand-driven funding system introduced under the Gillard government meant that caps on the number of university places were abolished, allowing universities to address unmet demand and hence provide greater access to tertiary education. This led to all bachelor’s degrees becoming CSPs (Commonwealth Supported Places), creating a significant fiscal burden on the government. With the announcement of the budget on Tuesday, university students have been labelled ‘losers’ and face increases in student contributions as the government cuts funding to universities. Is it fair to say that students will be hit with a debt that they can’t afford to pay back, and that others are better placed to subsidise their university education? Over their lifetime, the median female bachelor’s degree holder earns $800,000 more than the average Year 12 graduate who undertakes no further study. For men, this income gap is $1.1 million. This difference in income is more than enough to pay for a full-fee degree. In addition, studies conclude that the breakeven point – the point at which graduates start to benefit financially from their degrees – changes only slightly for people who received free higher education (in the 70s), receive a CSP, or pay international student fees. Such research raises questions as to the sensitivity of university students to price changes and their willingness to pay for higher education. In general, tertiary fees are a small percentage of total lifetime earnings, thus demand for higher education is relatively price inelastic. 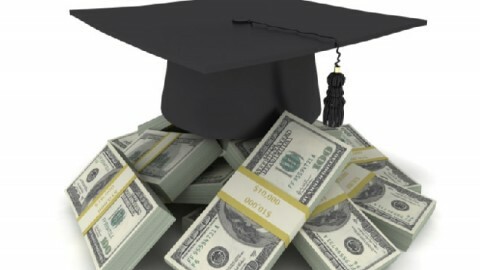 If university students should continue receiving subsidised education, then who is in the best position to pay? Should it be the student, or the public? The answer usually depends on the discipline and whether it confers a high public benefit. Education relating to social services, for example, has not been a target for fee increases. Disciplines like law and accounting are most likely to be hit with fee increases due to the high demand for these degrees and their relatively lower public benefit compared to other degrees. The strongest indicator of whether a person enrols in tertiary education is not their SES background, but their prior school performance. Lowering the cost of higher education may not necessarily increase access for people from low SES backgrounds. Therefore, people who are concerned about accessibility might do better to focus their attention on school performance rather than lowering university fees. When higher education was free under the Whitlam government, student enrolments increased without really changing the socioeconomic distribution of university students. Eighty per cent of the increased enrolments were from people already most likely to attend university, based on their socioeconomic backgrounds. 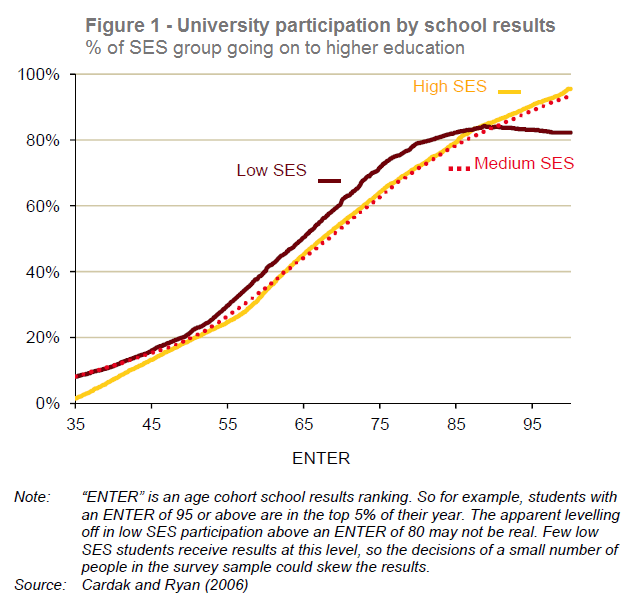 It has been suggested that SES backgrounds affect tertiary enrolment to the extent that they affect prior school performance. This is plausible and makes intuitive sense, as students with lower SES backgrounds have less access to better primary and secondary educations and thus are less likely to do well in school and consider higher education. By contrast, students from lower SES backgrounds who do well in school are highly likely to go on to university. The review of the demand-driven system recently released by the government indicates that deregulation of universities allows them more freedom to provide different programs. These include bridging or preparatory courses which will benefit students who have previously performed poorly at school. Data indicates that students with low ATARs (around 60) are less likely to complete their degrees and will benefit from programs which can offer more intimate and attentive teaching styles. To the extent that low SES correlates with poor prior school performance, deregulation will actually benefit these students. In addition, deregulation allows universities to offer more places and there has been evidence of an increase in enrolment for students with low ATARs. The flip side is that university students are bearing the burden of paying for more accessible higher education. On the other side of the debate there has been concern that allowing universities to open their doors and meet the demands of students with lower ATARs sacrifices the excellence of the university system. The review of the demand-driven system found that deregulation often allowed universities to innovate by offering new programs and encouraged competition between universities. 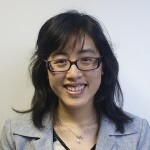 Abolishing caps on student numbers mean universities can offer new courses without having to discontinue another program so as to fix total student places, thus giving an impetus to higher education providers to increase the quality of their teaching. In addition, it was also found that students with low ATARs, but who enrol at university via a pathway program, might actually perform better than students who enter directly. The belief that deregulation reduces excellence is therefore a crude one. Figure 2 is from a university that doesn’t accept direct entry from students with ATARs below 70, but does accept them if they come via a pathway program. It shows that students with low ATARs can perform better than those with higher ATARs. With deregulation of universities, such pathway programs can become much more common, and will increase access to university without compromising excellence. Out of every biased article and student Facebook status I’ve read, this piece is the most concise in looking at this issue from an analytical perspective and makes me so happy that other people can see this perspective on cuts to education, the only problem I have is that there aren’t more articles like this in existence. Please write more. If you allow universities to charge what ever they like for degrees and it still goes onto the HELP debt, does that not impose a greater burden on the govt every year? ‘Whatever they like’ is used very loosely. Remember that there are a number of universities and while the average cost of university should rise as a result of deregulation, they still have to compete for students, adding competitive pressure to some, not all, courses. I think that the realities of the Australian higher education system will mean that we don’t see the same kind of competition that some people expect. Australian students don’t move away from home to go to university in the same way that they do in the UK and the USA. It’s plausible that price will be something on which universities compete on, but I can see the Group of Eight raising prices together to avoid that situation. My argument against deregulation is based on increased government debt, and whilst I accept that the sample period should be broader, I still see huge issues with the government taking on massive amounts of debt to finance the higher costs of degrees in the short term at least. In the long term, if graduates pay off the debt at the same rate as they otherwise would have, this system only means that students will be paying for longer. It doesn’t actually relieve the burden at all, it will proportionally speaking be the same as the burden currently. I’m still struggling to see your logic. Short term debt is irrelevant because it can be financed by future inflows, which are guaranteed under the tax system. Uni deregulation does relieve the burden because all of what the government pays will now be recovered, plus a higher rate of interest. This is a completely different situation to the current system where only half, if not, less than half of the government’s spending is recovered. I’m prepared to accept that if for some reason there is a huge rate of default because every graduate, unwilling to pay off their increased debt, goes overseas and in turn the government waives outstanding HECS debt, then, yes, it would increase the govt burden. But that’s not your point. “The average cost of university should rise as a result of deregulation.” I’m struggling to work out whether your comment was actually aimed at mine. Arguments #1 and #3 are not supported by the data presented, there is a self-selection bias that is ignored. Argument #2 may be valid, but again, there is a lot of creative freedom used to interpret some correlations. 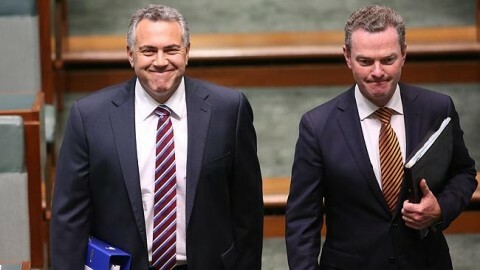 The Whitlam policy argument can easily be interpreted as the policy being successful – something was previously preventing enrollments, the barrier was removed, and perhaps the net society gain was positive. Neither of us can provide evidence to support our arguments. I think that your argument in #2 suggests you would be interested in contributing a new article – whether scrapping Gonski is a good idea. In that case you will have access to the Gonski report and could evaluate whether their recommendations are supported by their analysis. Without personally investigating the issue thoroughly, I think that a lot more thought has gone into Gonski than the proposed university policy and that it addresses a more important policy area…. and it is the main Budget issue we should be concerned about. Unfortunately 6 year olds don’t protest effectively. The US had a lot of charts like this to justify there financial decisions look where that got them. i knew a guy who made arguments and used charts for his spending of his wage but ultimately he is one of the most broke people i know. he might not look like it but hes bank dept is huge. i have put off uni because of high costs. what this article fails to realise is the social benefits and economics of cheap or free higher education. sure attendance is similar free or not but families have to fork out for it. all this does this does is separate the classes and creates a cycle. like what we see in the US which is a very broken country. not all of us come from rich or middle class family’s but if all of us have a change at higher education we would be a very nice happy and still be a very successful country. right now our country is being run by those who were lucky enough to get a free education. if we looked at the big picture you would find that free education is very beneficial on all levels, economic, social, environmental, well being and humane. if the government spending was more thought through we could afford to have free education and our taxes evening out the distribution of wealth. we are not separate from each other trying to claw our way to the top. were together and we help each that was the Australian way. Seems im being moderated. I dont believe that the article above has been correctly researched. I have written a rebuttal, but I guess the moderators dont like that either. Any way, point 2 is especially biased and poor. Point 3 has very little substance also. The research used is old and outdated. Systems in the US and UK have been running for much longer and produced different affects. Hi Josh – your comment was placed in the moderation queue due to the external link, and has since been processed. We of course welcome free discussion around any of our articles. If deregulation were in when I graduated high school, I would never have made it to university. I’d be lost in the poverty cycle, and to be honest I don’t know if I’d even be alive. I know many others who would have followed the same path. This article is naive and poorly researched.